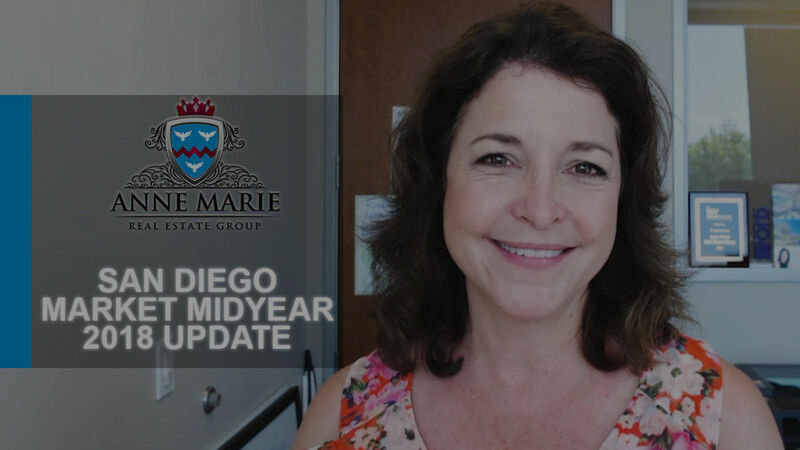 How has our San Diego County real estate market changed since last year? Let’s take a look at recent statistics. It has been a while since our last market update, so today I wanted to take a moment to bring you up to speed about recent conditions in our area. First of all, low inventory is still a major factor in our San Diego real estate market. And the median sales price continues to rise. For detached homes in our county, the median sales price rose 6.4% year over year. This translates to a jump from $610,000 in 2017 to $650,000 as of this May. The average sales price, on the other hand, is $828,549. Also, detached homes are currently spending an average of 26 days on market. This figure varies depending on price point, but most homes tend to move at about this pace. Attached homes and condos are seeing similar market conditions to what I just described. For example, the median sales price for attached homes also rose year over year, increasing 7.3% from this time last year for a current median sales price of $421,000. As for condos, the current average sales price is just over $500,000. And the average days on market is just 21 days. So what do all of these conditions mean for you? Ultimately, buyers must keep a close eye on the market and make offers quickly. Interest rates may be rising, yet the overall economy remains strong. Acting quickly after identifying a desirable property will be the key to any buyer’s success. Sellers, too, should keep market conditions in mind when selling. Circumstances may be favorable at the moment, but this is no reason to set an unrealistic price for your listing. The bottom line is this: Our market is in a golden moment right now. Buyers and sellers alike have the chance to enjoy amazing success with their real estate goals. However, things can change quickly. So please reach out if you’d like to discuss how to take advantage of these current opportunities before they pass.